We’ve built the GovIntranet theme using the Twitter Bootstrap framework. The default bootstrap css file is stored in /css/boostrap.min.css. You can compile your own default bootstrap stylesheet on the Twitter Bootstrap customize page. This will allow you to set custom colours, rounded-edges, fonts and sizes and download the resulting css files. You need to copy the css files to the /css folder of the theme. Keep a copy of your customised CSS and JS files. Updates to the GovIntranet theme will currently overwrite them with the default bootstrap files. 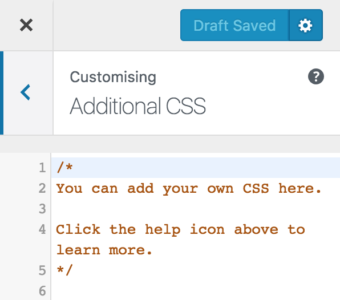 Use the customiser to add custom CSS.